We are three health professionals, a Clinical Psychologist, a GP and a Psychotherapist, who have co-facilitated Mindfulness courses together since 2007. We have run courses for health professionals, Clinical Psychology patients and people who are interested in using Mindfulness in order to achieve more balance in their lives. We are professionals dedicated to helping people help themselves. Current evidence suggests the importance of investing in our own "mental capital" and wellbeing and The Mindful Consultancy has this concept at its heart. To read further please go to the links page. 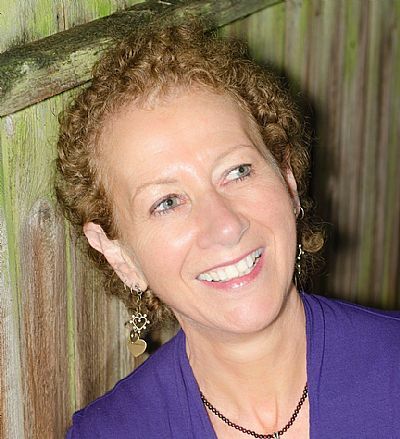 Vee Freir – a Consultant Clinical Psychologist, who has been facilitating Mindfulness groups since 2003. She undertook further training in October 2005 through the NES initiative for “Doing Well By Depression” and then went on to take part in teaching retreats on Holy Isle in 2007 and 2008. She has also attended various teachings by the Dalai Lama and been on retreat in Nepal and at Samye Ling. Vee has considerable experience facilitating groups, which she has done since 1986, and has worked in child psychology, cancer care and in Primary Care for NHS Highland. She co-facilitated the Mindfulness Deepening Retreats on Holy Isle since 2010. From 2009 to 2015 she was a co-ordinator for an NHS Education in Scotland (NES) project to build capacity for Mindfulness in all Health Boards in Scotland, which involved delivering supervision in Mindfulness for NES and cascading Mindfulness Teacher Training and has just taken back this post again in 2018. Vee has a Qjiqong Shibashi teaching certificate and is teaching this and doing Mindfulness sessions at Chiva Som in Thailand, Stobo Castle in the Scottish Borders, and South Africa and has been invited to teach in New Zealand and China. Vee is the author of two books on Stress Management. Peter Wilkes – has been a GP in the Highlands for 21 years, has a background in scientific research, is an MRCGP examiner, a GP appraiser and coordinates the Remote and Rural Fellowship Training Scheme run by NHS Education for Scotland. He completed the Bangor University Distance Learning Course in Mindfulness in 2006, attended the Inverness course in the same year and has taken part in the teaching retreats held on Holy Isle in 2007 and 2008. He has also attended meditation retreats at the Samye Ling Foundation in the Borders. He co-facilitated a Mindfulness Deepening retreat on Holy Isle in 2010. He currently co-facilitates a monthly Mindfulness follow-on group, for graduates of the 8-week course, in Drumnadrochit, Inverness-Shire. 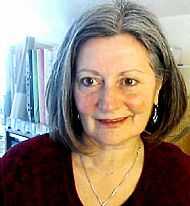 Patricia Price completed the MA in Mindfulness-based Psychotherapy with the Karuna Institute in 2000 and is UKCP registered Psychotherapist. She has attended teacher development courses with Mindfulness Scotland and the Mindfulness Association and continues her studies in Mindfulness with the University of Aberdeen and Bangor University in Wales. Her teaching is supported by a life-long interest and practice of mindfulness meditation.